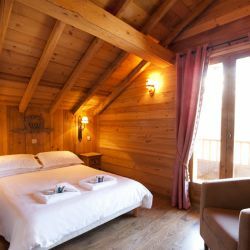 Chalet Club Pierre is located on the Hullote piste at the base of the Morel chairlift, providing real doorstep access into the heart of the Three Valleys ski area. 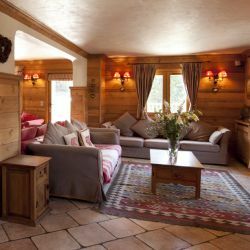 This chalet is reserved by the room which creates a more sociable atmosphere and lovely place to meet families or other like-minded skiers. 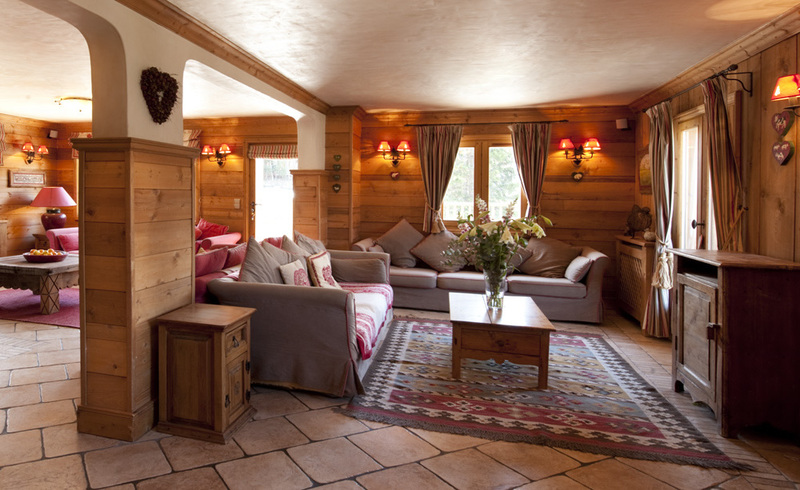 The chalet is a Savoyard renovation that meets the needs of the modern skier. 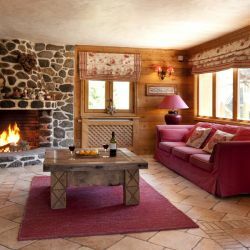 The original stone walls, comfy sofas, antique furniture and sharp contemporary bathrooms will create a home from home for your ski holiday in Meribel. 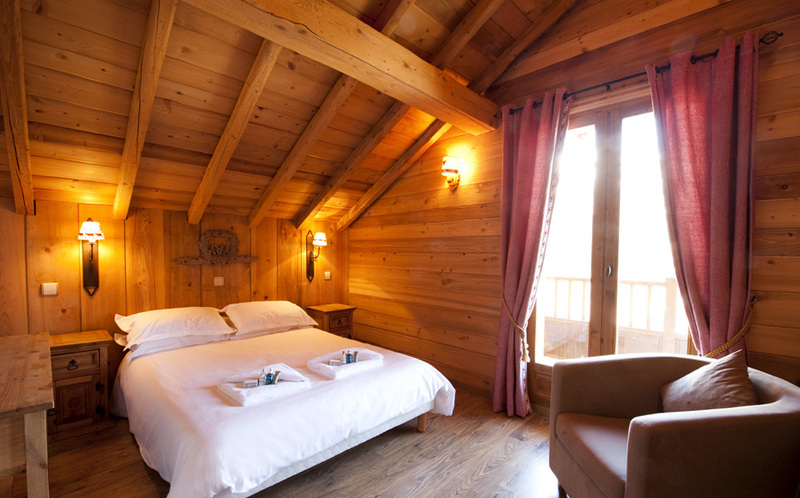 We also have a family suite that is ideal for parents with young children. 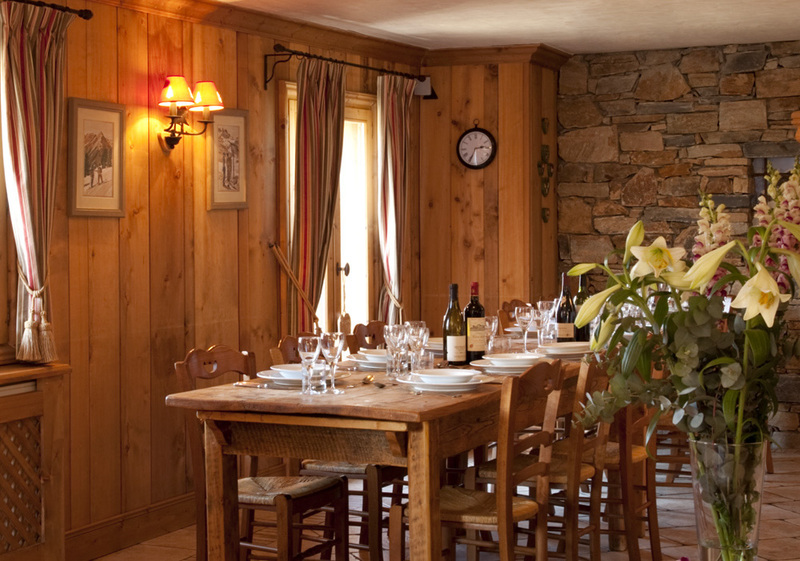 The chalet Chef offers a more flexible menu plan and choice of dishes, together with a canapé reception every evening. 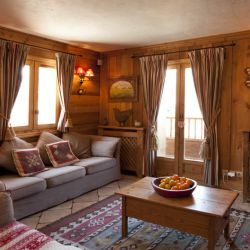 The south-facing terrace and hot tub enjoy uninterrupted views across the Meribel Valley, perfect for making the most of sunny late afternoons and complimentary beer. 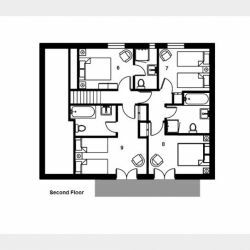 (Ground floor) - Twin with en suite bath, handbasin, WC and terrace. 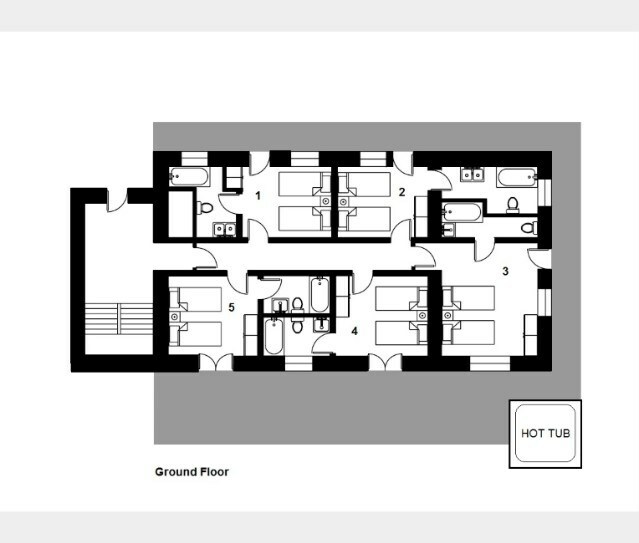 (Ground floor) - Twin with en suite bath, handbasin, WC and terrace. Limited space for a cot. 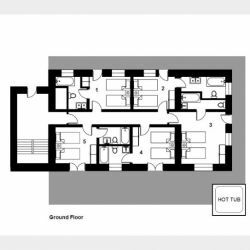 (Ground floor) - Twin with en suite bath, handbasin, WC and terrace. Limited space for cot or a temporary extra bed. 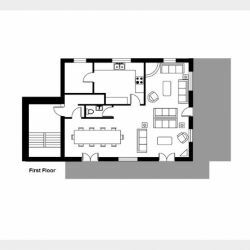 (Ground floor) - Twin with en suite bath, handbasin, WC and terrace. Space for a cot. 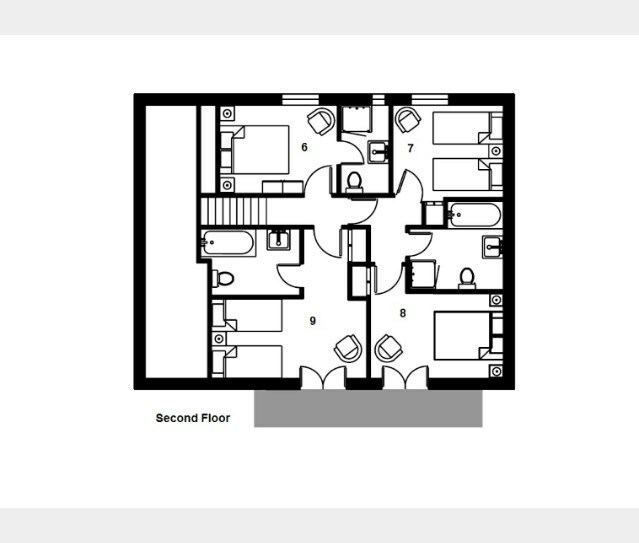 (Second floor) - Small double with en suite shower, handbasin and WC. (Second floor) - Twin with shared bath, shower, handbasin and WC. (Shared bathroom with room 8). Limited space for a cot. 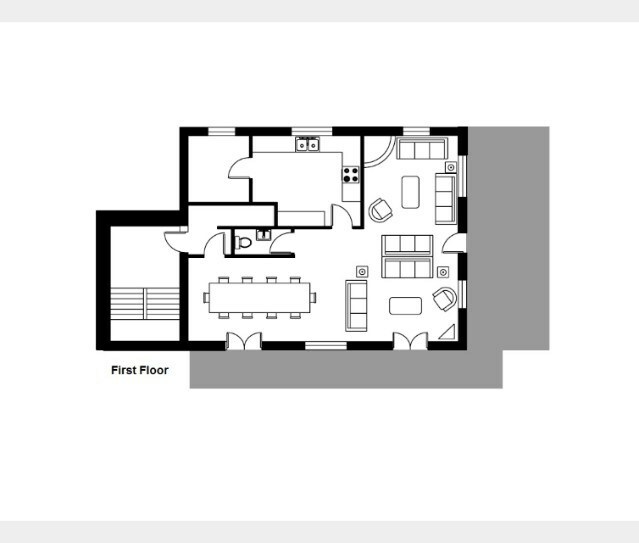 (Second floor) - Twin with en suite bath, handbasin, WC and balcony. Limited space for a cot or a temporary extra bed. Child discounts: 2-12 years £75. Infants: under 2 years cost £125. Empty bed supps: adult price less £199 (less £100 on no travel dates). 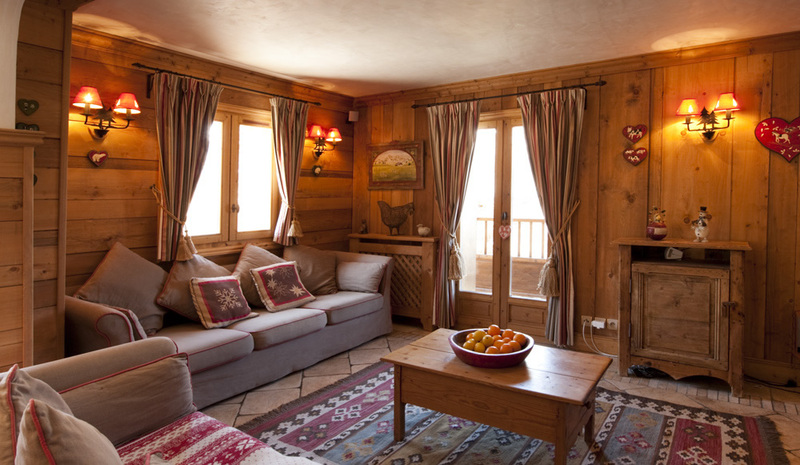 Whole Chalet Discount: chalets 12 or more 10% discount, not applicable Christmas, New Year, half term or Easter. Adults or children in extra beds pay half adult price. 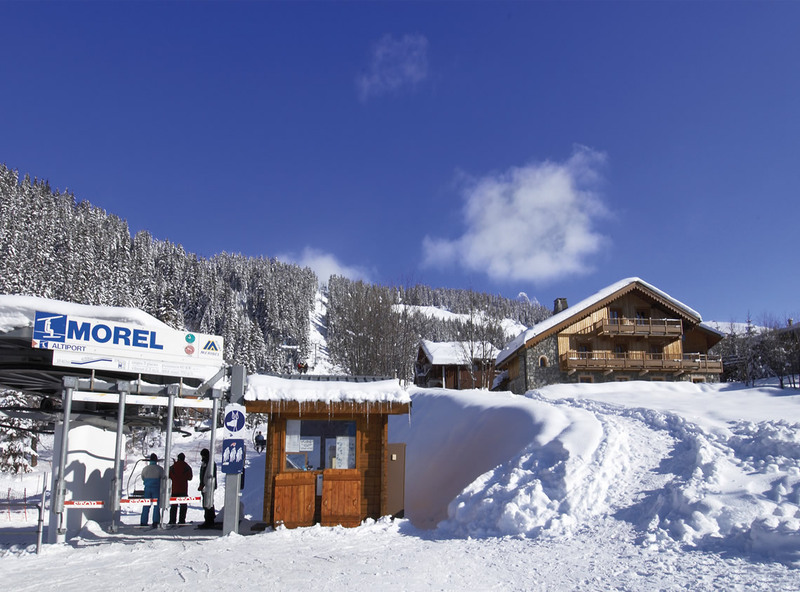 Situated on the Hulotte ‘blue’ piste and right next to the Morel chairlift to Altiport. Around 10-12 minutes walk to the resort centre. There are some shops, bars/restaurants within 5 minutes walk. The Executive Chef is passionate about food and hugely sensitive to the appetite of a hungry skier whilst considering a balanced diet. The new and refined 2014/15 menus are heavy enough to reward mountain exertion yet light and simple enough to leave you grinning not groaning. 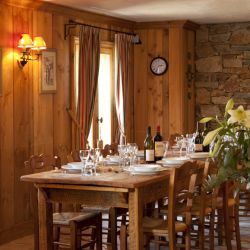 As well as possessing a flair for entertaining and a genuine love of food, our chalet hosts are friendly, unflappable and exceptionally hard working. 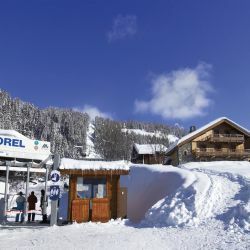 To prepare you for your day on the mountain, for breakfast you can tuck into croissants and pain au chocolat, yoghurts, bread, jam, honey, selection of cereals, porridge, and cooked breakfast plus orange juice, coffee & a selection of teas. Waiting for you on your return from a day on the mountain you can expect delights such as Lemon Crunch Cake, Banana and Toffee Loaf, White chocolate & raspberry cookies and Guinness cake. For those who prefer the savoury course how about; Artichoke heart, new potato & chorizo salad, Parsnip & apple soup with parsnip crisps, Creamy garlic mushrooms with polenta and Croziflette. Slow Cooked Shoulder of Lamb Served with Warm Bulgar Wheat Salad, Spiced Carrot Salad and Garlic Courgettes. Chicken Saltimbocca with a lemon and caper sauce Served with Crushed Potatoes, Mangetout and Peas. Pork Belly Served with Celeriac Mash, Braised Red Cabbage and Garlic French Beans. If you still have room you can then enjoy something sweet, such as; Spiced Poached Pears with Vanilla Mascapone, Rhubarb & Ginger Crumble with Ice Cream, Raspberry Souffles and Chocolate Chilli Pots with Raspberry Chilli Coulis. 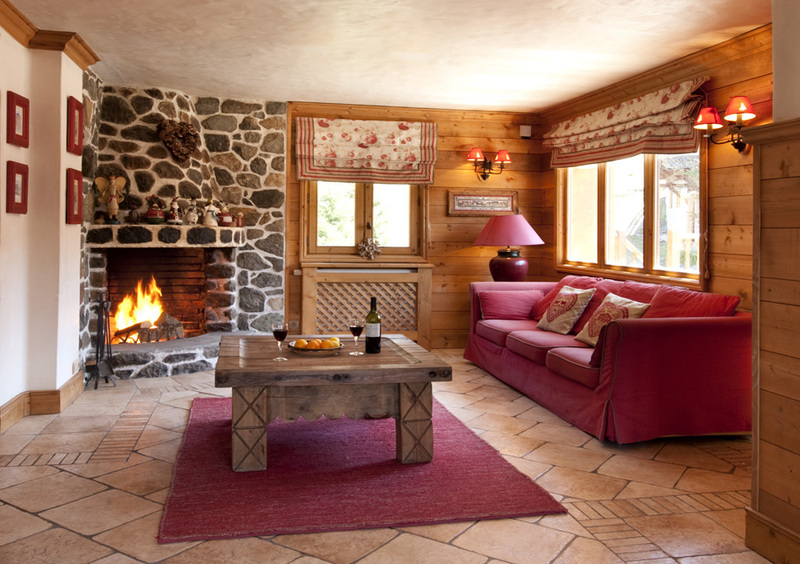 Retire to the lounge and enjoy a fresh coffee and a selection of cheeses. The dishes above are examples of what you can expect on the menu, please note it is not a confirmed menu for the upcoming season. Prices are per person based on 2 sharing, unless stated incl flights from Gatwick, coach transfers & catered accommodation. Child discounts: 2-12 years £75. Infants: under 2 years cost £125. Empty bed supps: adult price less £199 (less £100 on no travel dates). Flight supps: Manchester £30pp. BA CLUB Class £100pp, £250pp peak dates. Monarch flight £20pp discount. Ski carriage: £15 per set of skis/board each way.